Each carousel tray includes 6 compartments. 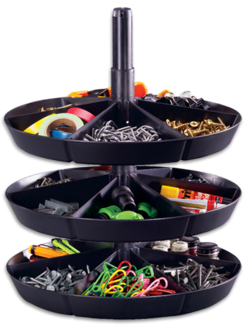 Stackable spindle allows trays to be stacked and still spin for better access. Each tray sold separately in a master pack of 6.